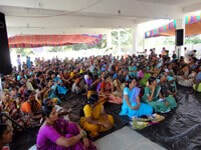 Vanitha jyothi Mahila sangam conducted an “Rural women’s Day” Program Celebration on 15th October 2012. By the president AK Khamar Rahman. 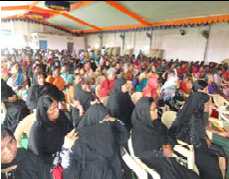 Coverage to more than 3000 above women's participated in programmed at chamanpally village, karimnagar district. 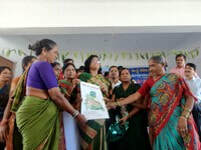 Attend to Dr. Tripurana Venkata Ratnam, Ex-social welfare advisory board chair person and formal minister (chief guest). We have celebrated on 15th Oct 2013 all women’s day with minimum Strength of 800 women in each Wanaparthy Town in Mahboobnagar District. The Guest of the function is UCo Bank Assistant Manager Mr. Obulesh , Dr. Muralidhar and Shankar Prasad were attend the function. We are Celebrating Rural Women’s Day Every Year.